The recent (Nuclear Suppliers’ Group) NSG snub from China in Seoul should wake up the sleeping diplomats in the Foreign Ministry on who they are up against in the global affairs. India needs to start acting like a big boy in the big boy’s club now given that it has rattled so many feathers. The article below is reproduced from Vajrin’s blog to look at how India can go up against the mighty dragon when the battle lines are clearly drawn. Hindus seem to have lost their ability to do a strategic analysis of the global scenario and position themselves accordingly. Or rather, the Hindu masses are selecting such ‘leaders’ who certainly do not have any ability to do some critical thinking. It has become a vicious cycle – the masses select dumb, self serving ‘leaders’ who in turn ensure to keep the masses in their pockets by using various ‘schemes’ which are not about strengthening the nation but retaining the vote banks. Such a democracy is keeping us weak and a large pumpkin ready to be divided by our neighbors. Independence in 1947 was the best opportunity for us to regain our pre-eminent position in the world. When the Mauryan empire was established, it was the largest empire of its times – both in terms of population and economy. It was spread over a landmass much larger than current day India. The aim of any defeated community must be to regain their past glory or better yet, even surpass it. Rather, our leaders from the time of Nehru have been involved in keeping us downtrodden, with no visions/dreams of grandeur. The current geo-political scenario seems to be a treacherous sea which India is trying to sail across without a proper ship, compass or sailors. We wonder if the only reason the country is still holding together is due to some divine solace (despite our conviction that Gods should not be expected to intervene on our behalf). The Hindu land is surrounded by adversaries. Islamic threat in the west and east – exacerbated by the presence of a sympathetic minority within the country, especially near the borders. Hans are in the north – supported by the Communists and Maoists within India. The Theravadins in Lanka have anti-Hindu strain – as established by their anti-vaidika activities during the invasions of Tamil land. There is a Han-Islam-Theravadin circle around the Hindu land. Our leaders have lost hold over Lanka which has now moved closer to the Hans. Our defense industries have failed to attain self-sufficiency in conventional weapons. Be it a battle tank or a fighter aircraft, we are still dependant on foreign supply – which is both costly as well as dangerous. To rely on foreign supplies during wartime is a nightmare. Any war will be fought in localized manner – use of excessive fire power with conventional weapons at the border and in strategic military locations to destroy the enemy forces. 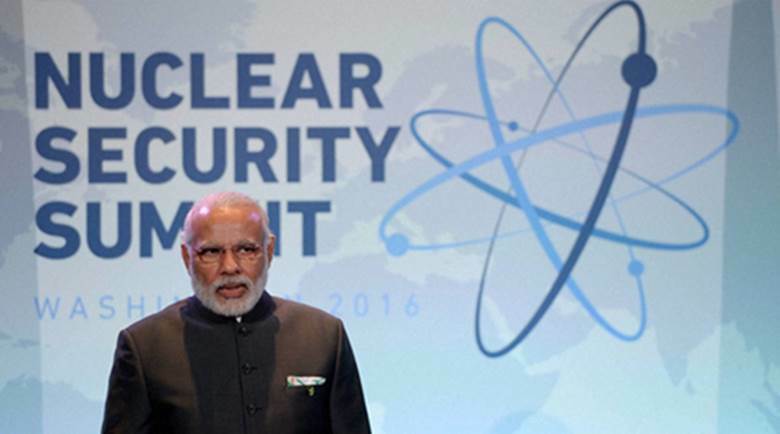 The presence of nuclear weapons and international pressure will provide deterrence against a complete conquer. But the presence of men who are sympathetic to the enemies could be leveraged to divide the nation using some local revolts by these communities – in localities where they are in majority. West Bengal and north-east will be easily lost as we have a huge population of Muslims and Communists in those regions. When Bangla Muslims revolt, our connection with Sikkim, Darjeeling and North-East will be severed. West Bengal and North East can be divided among themselves by China and Bangladesh. In the north, Ladakh and other Himalayan regions will be conquered by China. When the Muslims in Kashmir and Western UP revolt, it will make Pakistan’s thrust in the West easier. As catering to the minorities has become the norm in UP, the administration will not be in a position to quell any such traitorous revolt. Such a triangular war will be the death knell for Indian Union. While the situation indeed appears dire, there are ways to overcome this tumultuous period. While China has allied with our enemies and is creating a ring of fire around us, the Hans have enemies on her borders. The Han view is expressed by the article which makes plans for six wars in the next few decades – in order to consolidate all the territories claimed by the Hans as theirs. Thus, Hans have enemy states on their borders. The Indian answer must be to create a counter ring of fire around China. South Korea seems to be moving close towards her historical suzerain, China. We cannot expect any help from the Koreans. Japanese are waking up to the Chinese threat and are appearing to be re-arming themselves. Japan, Vietnam and Philippines are our natural allies against China. Taiwan, though anti-Communist, cannot be trusted as the Hans in Taiwan also have imperialistic notions of a greater China. China has trouble in its western borders as well. While the Chinese are suffering from Uighur unrest in Xinjiang, they have territorial claim in Central Asia, eastern Siberia, Mongolia, a few Japanese islands apart from India. Japan and Russia do not enjoy good relations. But India is in a unique position to be the go-between state for these two powers. India has no enemies in the Far East except China. We could leverage this position to forge an alliance with a majority of states in the ASEAN and Far East. The Mekong basin countries are afraid of Chinese attempts to divert waters from Mekong leading to drought and famine in Indo-China. They have a common cause against Chinese impunity which is a result of renewed Han imperialism. Mongolia fears Han expansion – a valid fear given that inner Mongolia has been swamped by Hans and has been made into a province of Han China. India could play the role of a mediator/middle man. Cambodia and Thailand have border disputes. But both the countries have good relations with India. The fear of a rising China which has imperialist notions based on its historical view of ‘Middle Kingdom’ is spreading among the neighbors of China. An anti-China alliance is the need of the day. We cannot rely on the USA much. US is on a retreat mood now. They seem to be planning to withdraw from Far East. Americans cannot be expected to contain China singlehandedly anymore. With nearly 2.5 million strong military and another 2.5 million in reserves, China can field a force so large that Americans might back out due to sheer fear about casualties. Any anti-China alliance must be formed by the Asian neighbors of China. But such an alliance is not enough. DRDO must be strengthened in India. The string of failures must be corrected. LCA, Arjun Tank, Trishul etc point to a systemic failure. The corrupt leadership seems to see gains in importing military assets. Thus, strengthening of our R&D efforts at DRDO has not been given due importance. Any country needs strong domestic military industry complex in order to fight wars. We cannot survive wars based on ammunition imported from Israel or Russia. The Orthodox Russia has a negative relationship with West. Russia and China come together while facing the West. But Russians understand the Chinese threat in Eastern Siberia. Thus, they have begun to conduct war games in Siberia. The West has traditionally sided with even Muslims against the Orthodox (e.g. Crimean war). Even in Kosovo, we saw the NATO siding with Muslims against the Orthodox Serbs. In the case of China, the West fears China but they may still not be motivated to join any alliance against China – their traditional hatred for Russia holding them back. We must start engaging the ASEAN Buddhist nations more vigorously and conduct joint military exercises with them. Malaysia and Indonesia may also join hands with us – but their distance from China (in the case of Indonesia) and a large Chinese minority (in the case of Malaysia) may keep them aloof. We must also try to get a greater foothold in Africa and Central Asia. While we may not be able to counter China’s economy singlehandedly, we can form joint ventures with other countries to take over the African assets that Chinese are interested in. To hold a strong grip over Chinese energy supply must be a primary aim of Hans’ adversaries. The primary circle against China shall be the border states of China apart from those of the Mekong basin. The secondary line shall involve Malaysia, Indonesia and Australia. The third line shall include the NATO and its allies. An excessive crackdown on Uighurs can also be used to bring Islamic nations against Chinese. While Islam is our other major enemy (for the West and Russia as well), we can still work together to defang the Chinese giant. Huntington rightly noted that India/Hindu civilization plays the role of a mere swing state in the current circumstance. Destruction / even a strong containment of Han imperialism will open the doors for a more prominent India much more easily as well. Containment of Hans must be a primary motive of the Hindus apart from defending against Islamic aggression. But will the Hindus ever wake up to this reality? The article was first written at Vajrin’s blog and you can follow the authors @Rjrasva and @dasyavevrka.